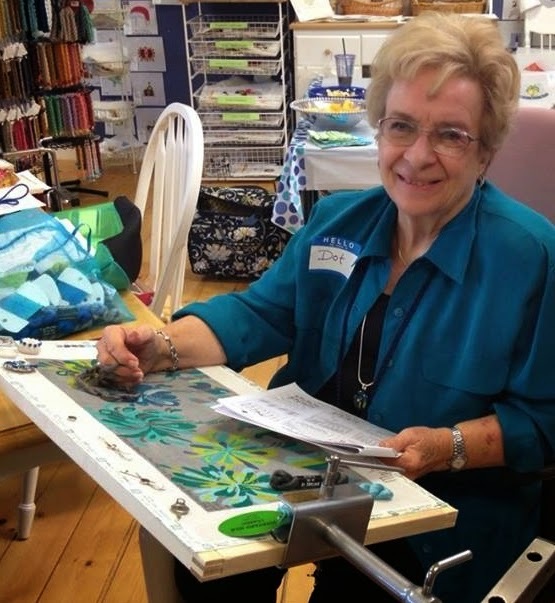 I'm back home from teaching at Beth's Needlepoint Nook in Louisville, KY and will have a blog entry devoted to my wonderful time there, soon! 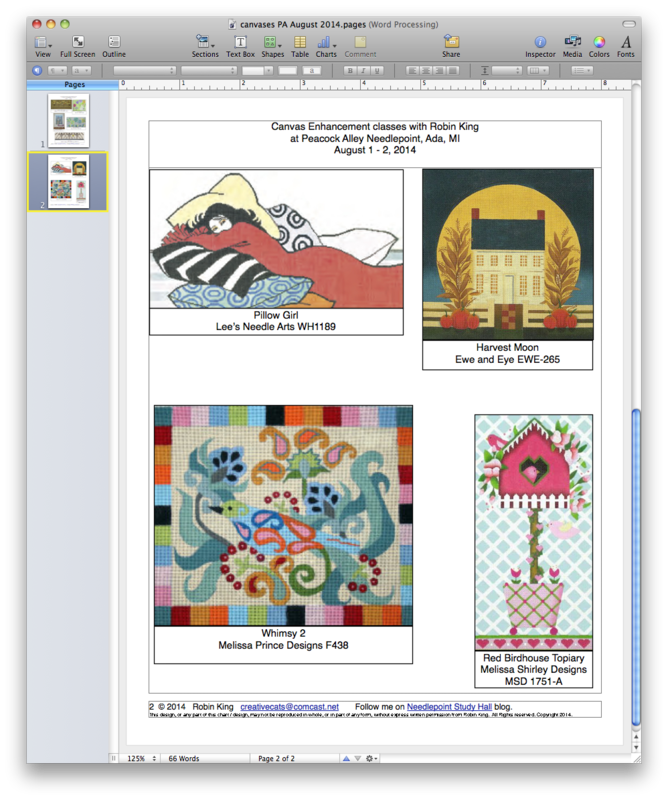 I'm also getting my "ducks in a row" for teaching next month at Needle Nook of La Jolla and at The Nimble Needle-Atlanta. I didn't want too much time to pass as I go radio silent; here's a must-read blog for you. 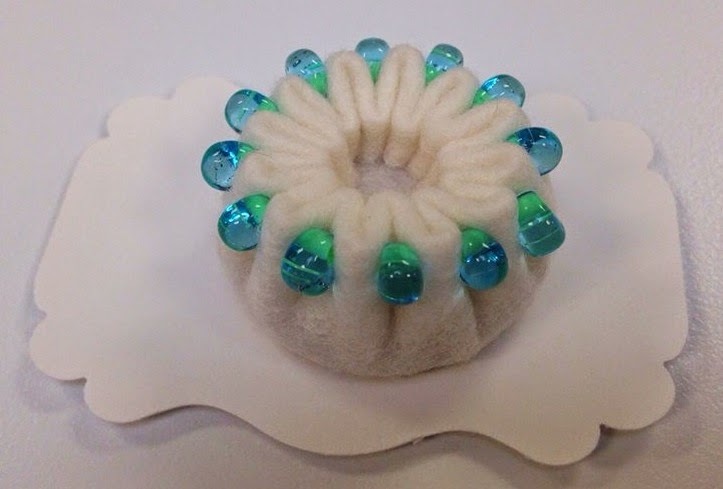 Susan Elliott writes the "Plays with Needles" blog. Please check it out! Susan is one of the most talented, inventive, life-loving people I know. 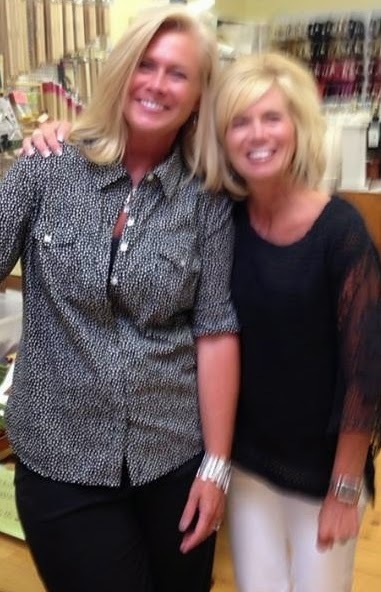 (We've never met, but I've admired her for many years!) You will be amazed at her needle art. Brilliant. 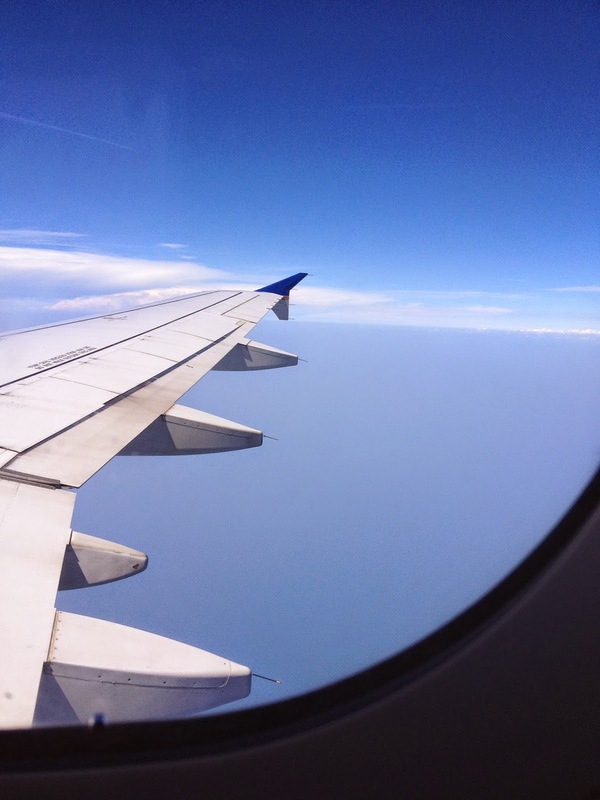 Check out her blog from yesterday titled, "Eighteen and Falling." She talks about her son, Jack and his birthday celebration. 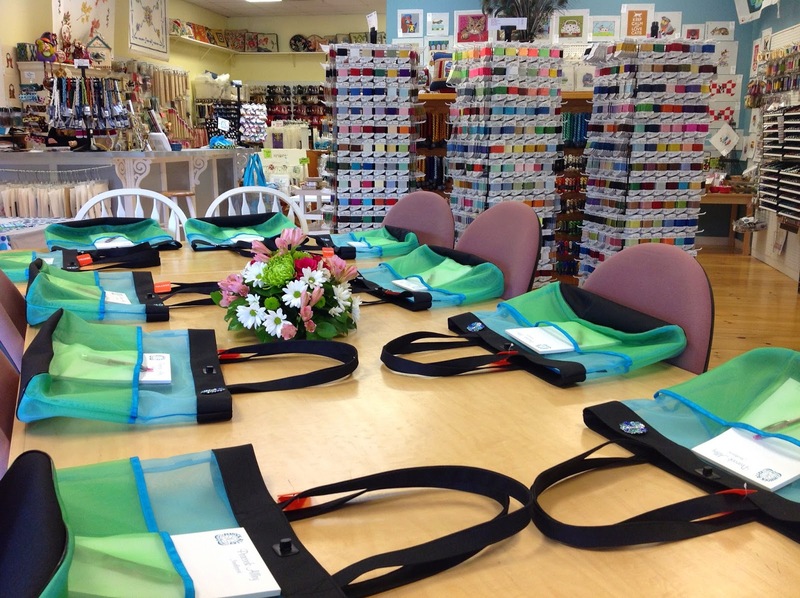 Before I take off to teach this weekend at Beth's Needlepoint Nook in Louisville, KY... 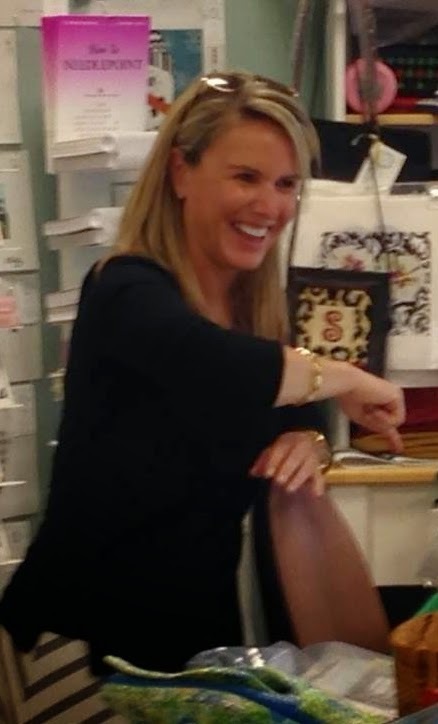 I MUST finish up with my wonderful time at Peacock Alley Needlepoint last month. The 2-day event at Peacock Alley Needlepoint was so much fun! 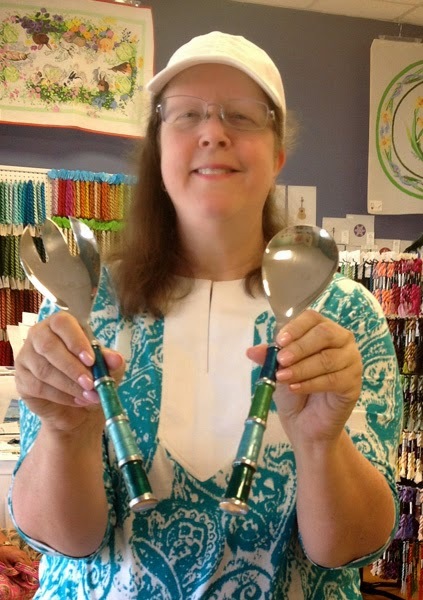 You know Sandy is a wonderful hostess: even her tongs match the store's namesake. Peacock Alley Needlepoint serves up a good time. Sandy and her gals, Machelle, Holly and Jenny were on hand for the Thursday evening Meet & Greet; complete with yummy hors d'oeuvres, etc. This is how you say Hello. 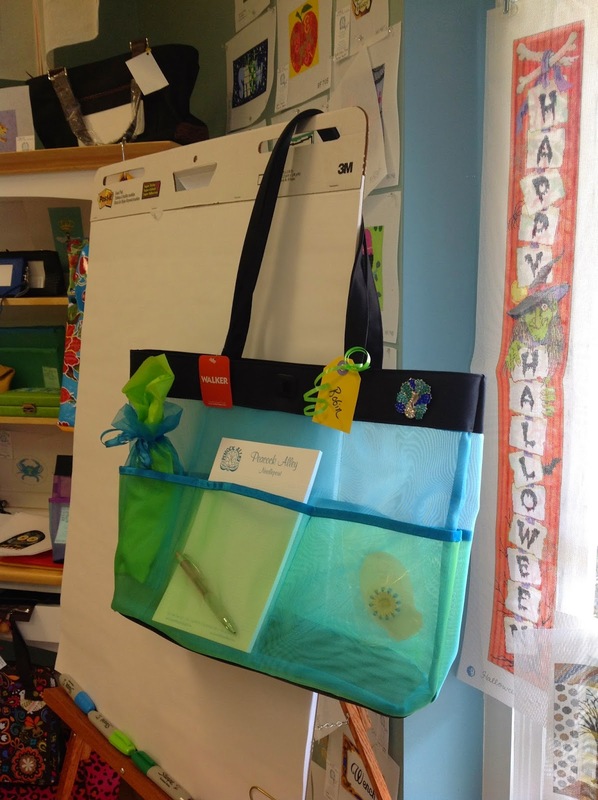 Look at the wonderful gifts everyone received: a Walker Bag in the beautiful "peacock" colors. Everyone received a Felt Needle Minder Magnet (with a duo purpose: holds your needle and cleans it, too) made especially for Peacock Alley Needlepoint! Here's my Walker Bag with goodies, too... complete with the Felt Needle Minder Magnet, Peacock Magnet, Graph Paper Note pad, Pen, and a special Peacock color beaded-Chatelaine to keep my scissors and needle threader near to me. Thanks, Sandy. Class was Friday & Saturday. The guides had been written & the thread kits were pulled. Everyone was able to start stitching immediately. 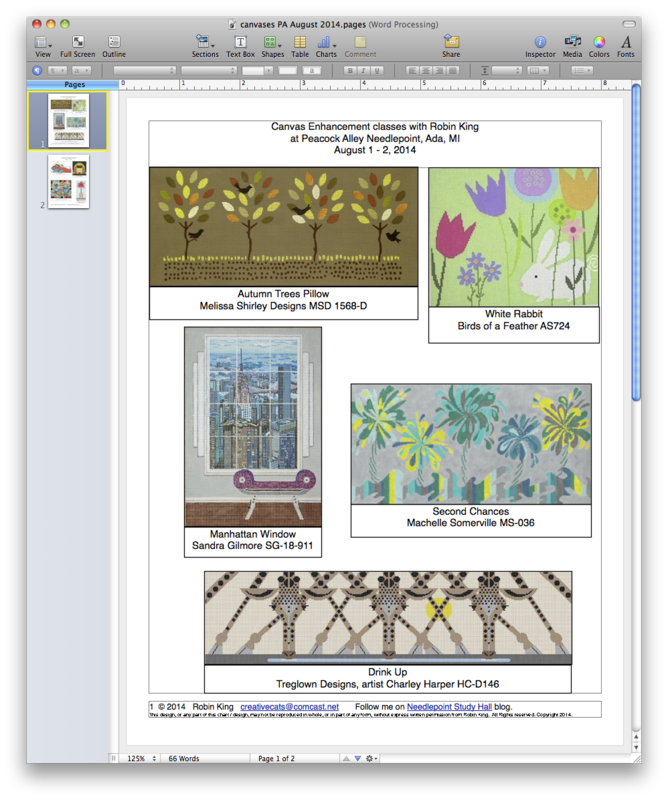 Dot selected Machelle Sommerville's "Second Chances" canvas (MS-36). Lovely colors. It was nice seeing Dot again. Look at the fun threads, ribbons, and Beads for the "White Rabbit" (AS724). Betsy is going to enjoy stitching the "White Rabbit." Saturday: another day of being pampered. We had Chamber of Commerce weather. 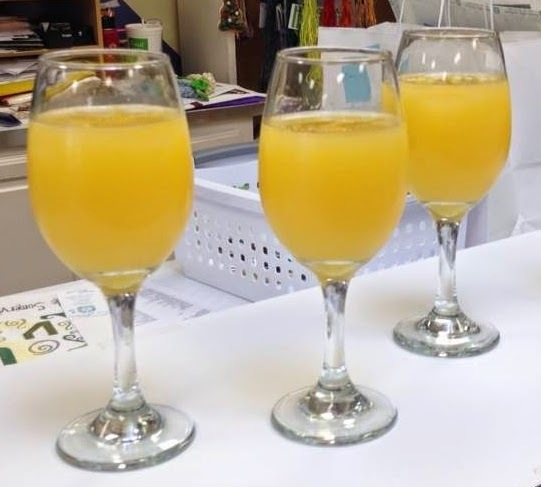 Would you like a Mimosa? Emily's bird is looking good. Stitches were confirmed, new friendships were made. My job was done... big smiles. These stitch guides are now available. Email me at creativecats@comcast.net if you are interested. New stitch guides by Robin King. 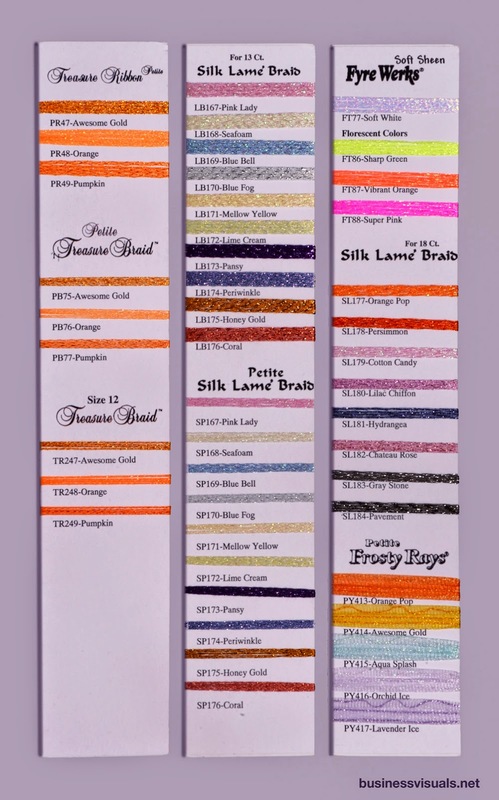 Have you seen the newest colors of your favorite threads from Rainbow Gallery? They were just released this past weekend at the Destination Dallas (a wonderful Cash & Carry needlepoint market), and will be coming to your local needlepoint store... soon. Look at the new ORANGES from Rainbow Gallery! Research was done about what oranges were needed... and hit a home run! Petite Treasure Ribbon, Petite Treasure Braid, Treasure Braid size 12, Fyre Werks Soft Sheen and Petite Frosty Rays. Oh, be still my heart! Look at the new NEON Florescent Colors in Fyre Werks Soft Sheen! I can't wait to stitch with them! Look at the new Petite Frosty Rays! Orange Pop, Awesome Gold, Aqua Splash, Orchid Ice, and Lavender Ice are my new BFF. 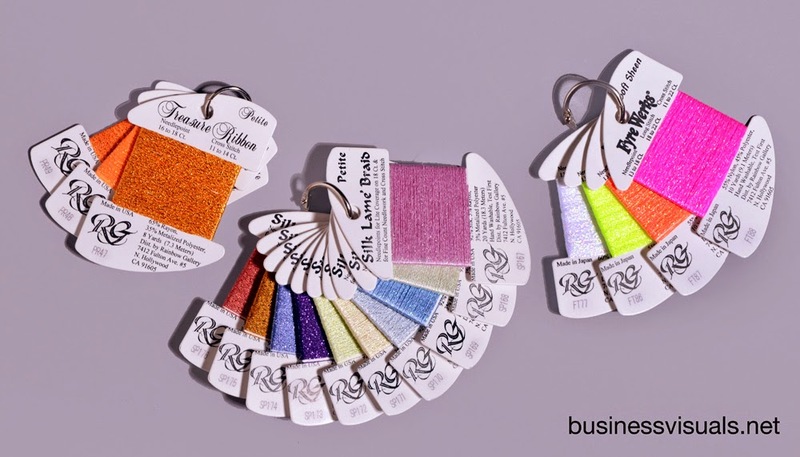 Look at the new COLORS of SILK LAME´ BRAID (for 13 and 18 count) and Petite SILK LAME´ BRAID. Love the new dreamy and creamy names: Pink Lady, Seafoam, Mellow Yellow, Lime Cream, Blue Bell, and Blue Fog. Want something with a bold pop of color? Check out Pansy, Periwinkle, Honey Gold and Coral. In the 18 count, there are the new colors: Persimmon, Cotton Candy, Lilac Chiffon, Hydrangea, Chateau Rose, Gray Stone, and Pavement. How fun. 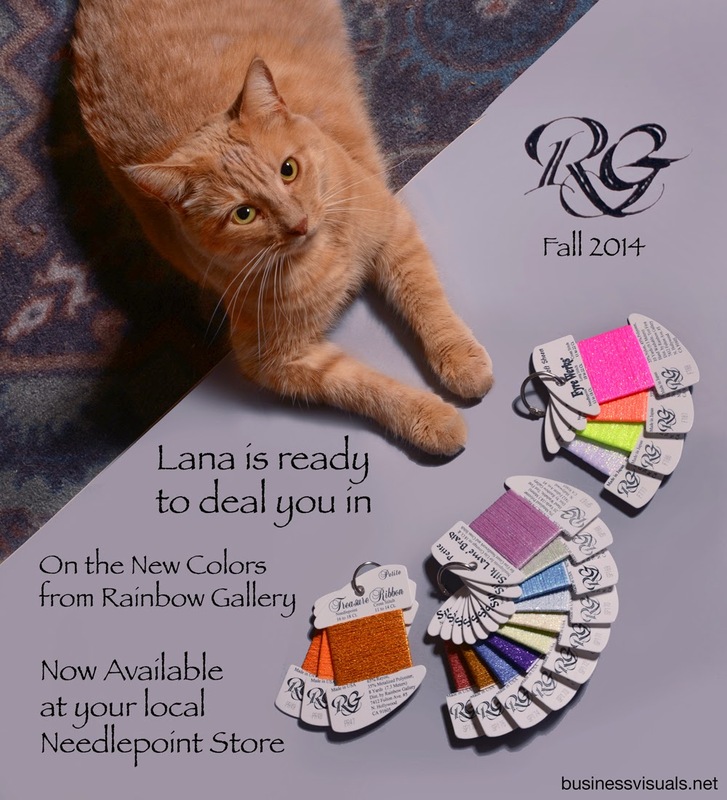 Many thanks to Rainbow Gallery for giving us just the right color... just the right thread! Lana the cat LOVES the colors from Rainbow Gallery. Many thanks to Pat from Business Visuals for the photography... and, Lana, too.